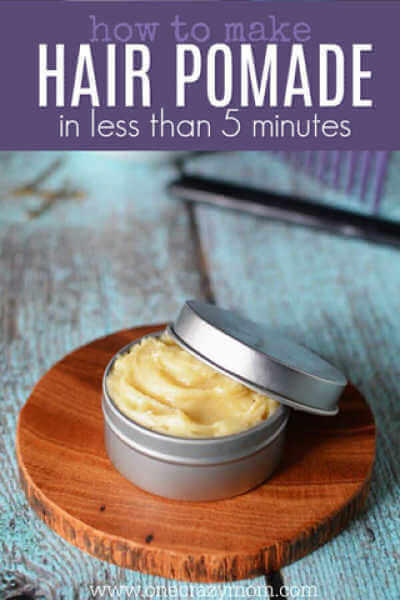 Learn how to make homemade hair pomade for a fraction of the cost of store bought and without all the chemicals. 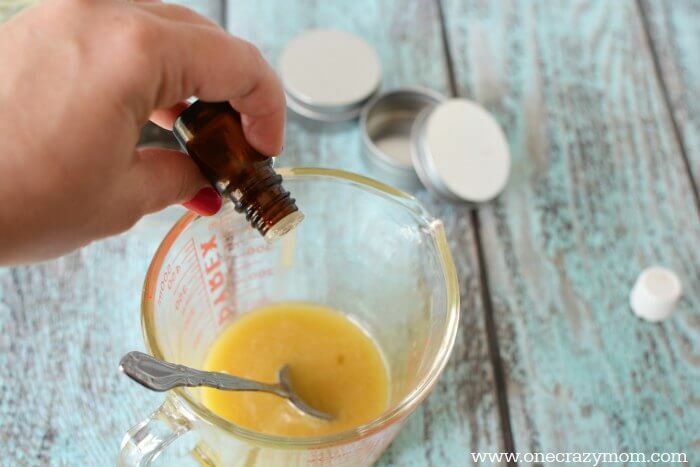 Just a tiny bit of this DIY hair pomade will do the trick and leave your hair looking wonderful. I love good hair products but they are so expensive. Plus, I often wonder what all those ingredients are! 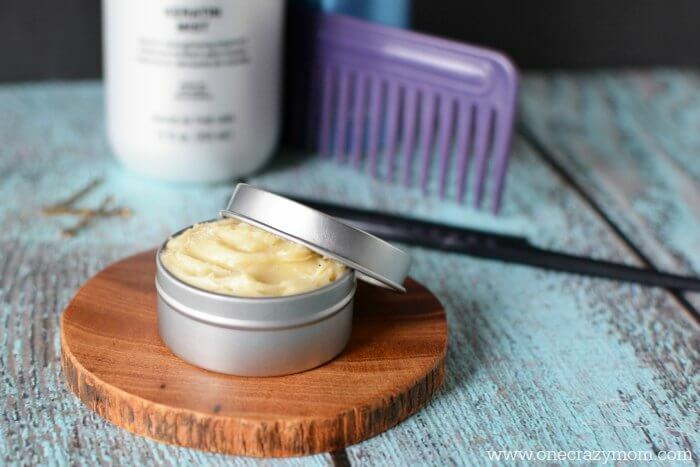 Today, I am going to share with you a how to make hair pomade. It works wonders on hair and is all natural. You only need a tiny dollop so this lasts forever. You can make this for a fraction of the cost of salon versions. I like to use a tiny bit on the ends of my hair. It’s also great to tame frizzy hair. You can find small tins at your local craft store to put the pomade in. Sometimes you can luck up and find some at the dollar store. We are trying to make more and more of our own products so I just buy these small tins on Amazon. I like having several on hand for when it’s time to make a new batch. I like the tins because they are small enough to travel with. I actually like to keep one in my purse as well. It is so handy to dab on hair as needed during the day and such. Coconut oil is something else I like to keep on hand. I use it in this Homemade Peppermint Foot Scrub. And you will need it in this pomade. I usually can get a better deal on Amazon on coconut oil. 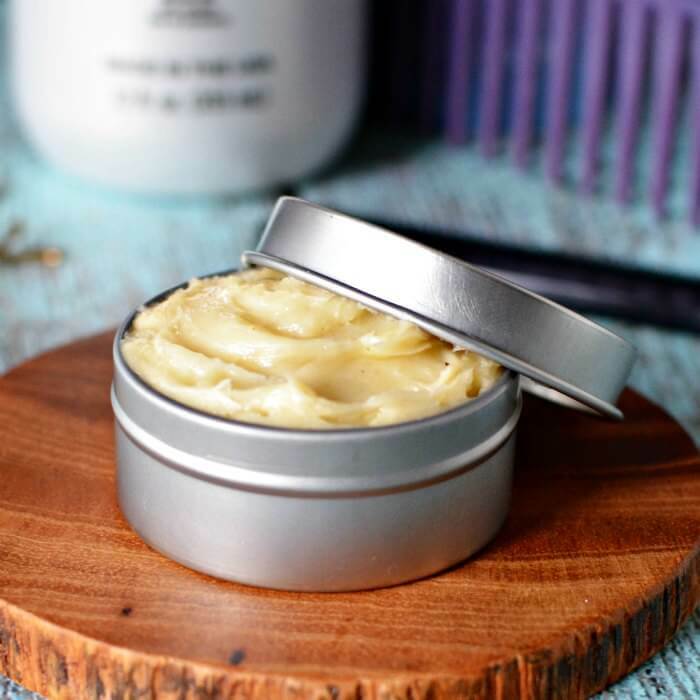 You can add essential oils to this pomade but it’s totally optional. I love essential oils so I add a few drops when I make it. 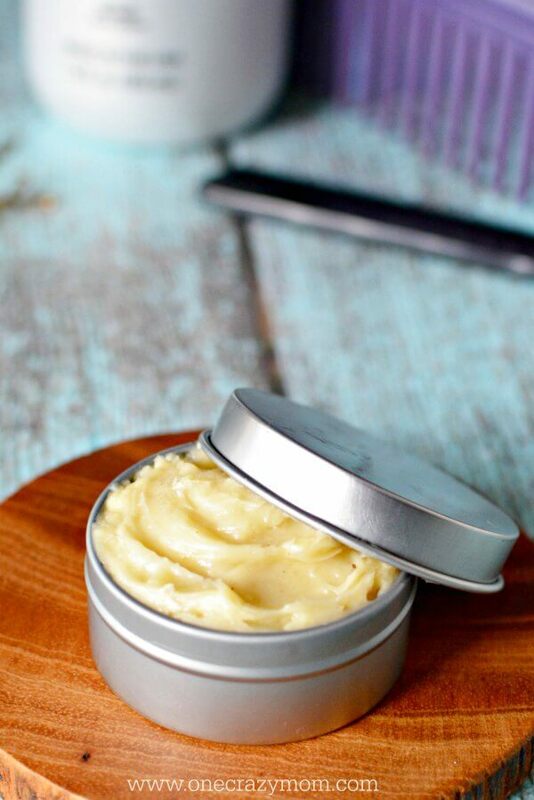 You are going to love this natural pomade. It is one of my most favorite hair products! 1. 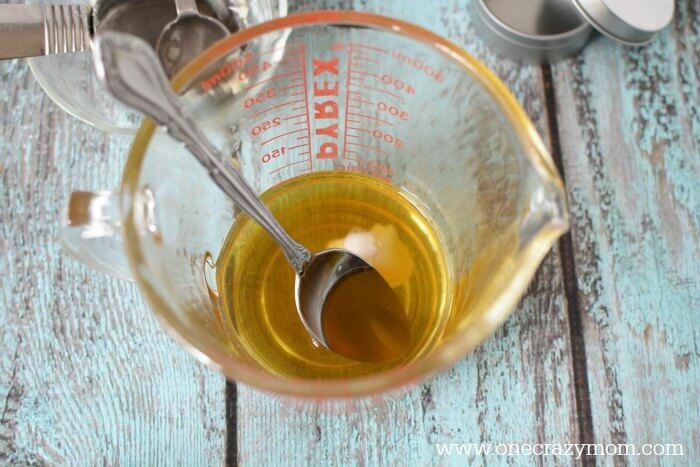 In a small bowl, mix together jojoba oil and arrowroot. Set aside. 2. 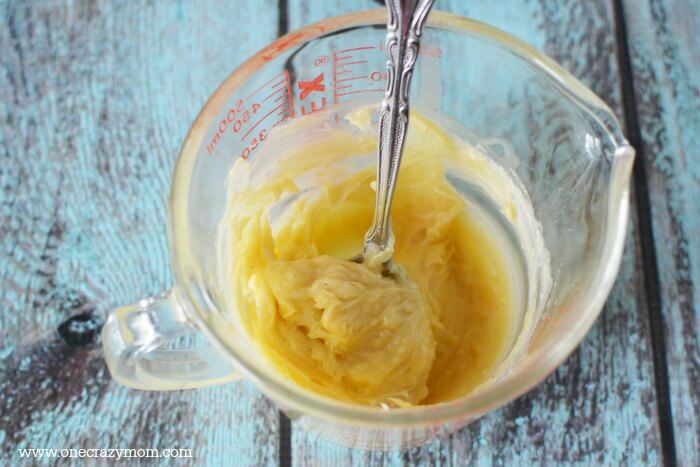 Melt shea butter and melt beeswax in a microwave safe container for 1 minute, 45 seconds, stirring every 30 seconds until melted. Stir in coconut oil mixture until melted. 3. Add arrowroot and stir well. Let set until cool, and it will look like it hardened. But it has not, just stir the mixture to create the paste. 4. Place into a jar or small pot with a lid to hold the pomade. Use a small amount (pea size) and rub into your fingertips before applying to hair to create dimension, tame fly aways and condition your mane. You are going to love making your own DIY hair clay. It saves so much money and I think works much better. DIY water based pomade is easy to make and great for various hair types. 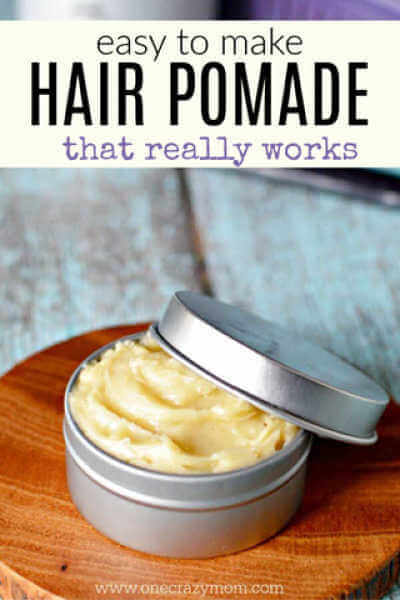 Homemade pomade is a great natural hair product to use and make. I think hair pomade works so much better than hair gel. Once you find a natural product you love, it is a keeper! 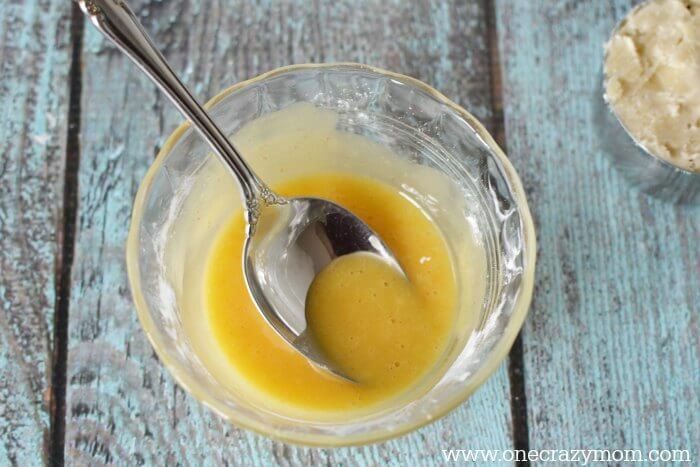 We love pomade recipes formulas like this homemade pomade for black hair as well. 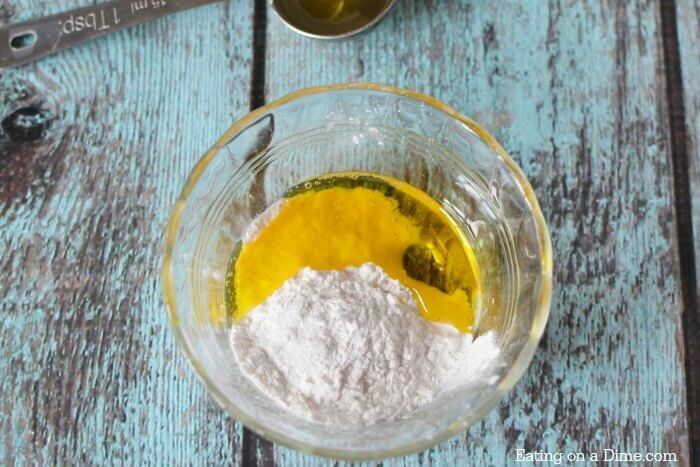 This DIY pomade works for all hair colors and types. Sometimes it can be hard to find pomade that works well on dark hair but this DIY is great for all hair colors and types. Once you learn how to make this DIY matte hair clay, try more natural products. It was a little daunting looking at the price tag of purchasing these products at the store. Now, I can have natural products at home for a fraction of the cost of buying at the store. 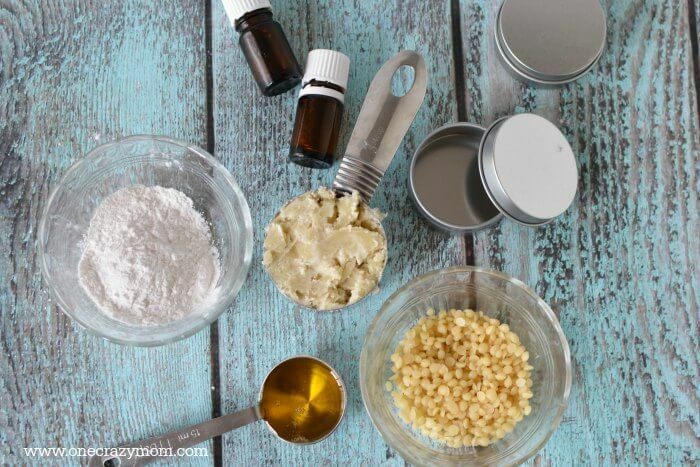 You won’t find any of that in these natural products that can very easily be made at home. You can feel good about what you are using and giving your family to use. 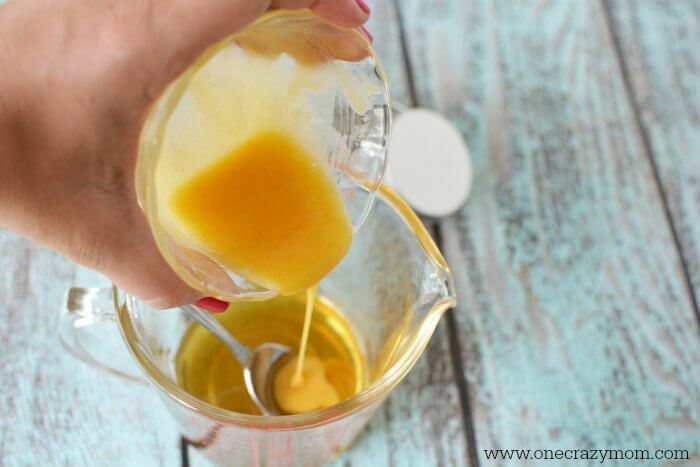 I’ve been looking for a great DIY All Natural Recipe for my hair! This is genius! I can’t wait to make it. Thank you so much for sharing.